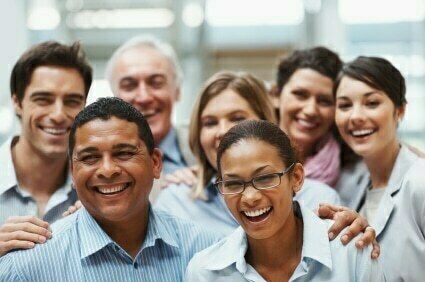 – Create an environment within your organisation where all employees focus on delivering excellent customer service. 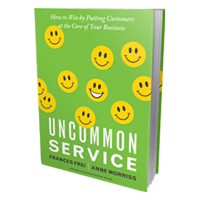 In this recently released book, Frei and Morriss identify four key dimensions to achieve excellent customer service. Organisations need to both recognise and manage each of these areas effectively. Service models need to be designed around all of these dimensions. Each dimension is broken down, analysed and backed with relevant, contemporary case studies. Case studies are drawn from organisations spanning finance, retail, travel, healthcare and freight services. 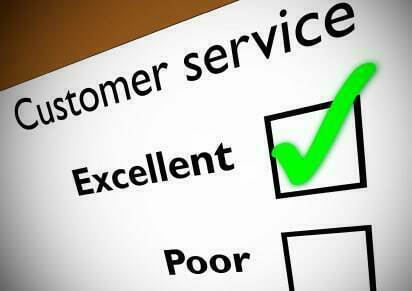 The authors contend that customer service excellence comes at a price, and that price is the tradeoff between being good at everything or being excellent at your core competency. Trying to be the best at everything is counterproductive to customer service excellence. Deliberate tradeoffs can lead to delivering excellent customer service in those areas that your customers value most. The key to this approach is in identifying those service attributes on which you are competing for customers, then determining how to fund service delivery in those areas, define management systems and business processes to facilitate employees in delivering excellence in those areas, and finally, managing the customer experience. The strength of this book lies in linking the identified four dimensions with the requirement for a strong organisational culture; a culture that has clarity of purpose, is consistent with the organisational strategy, structure and operations, and is effectively communicated and universally understood within the organisation. This requires leadership to create a culture and environment that reinforces the service model at every touchpoint. Frei and Morriss conclude by highlighting that “employees are yearning to be of service, customers are eager to do their part, and organisations can, in fact, change overnight”. As with most challenges in life, change commences with a clarity of vision of what is possible, and the unwavering belief in realising that vision. It is this pragmatic approach in “Uncommon Service” that is refreshing. I highly recommend this book to anyone who is delivering a customer service. Australian and New Zealand customers can purchase this book through the link on our Recommended Reading page (under Resources).